Labranda Marieta Aparthotel is strictly an adults-only hotel in Playa del Ingles. 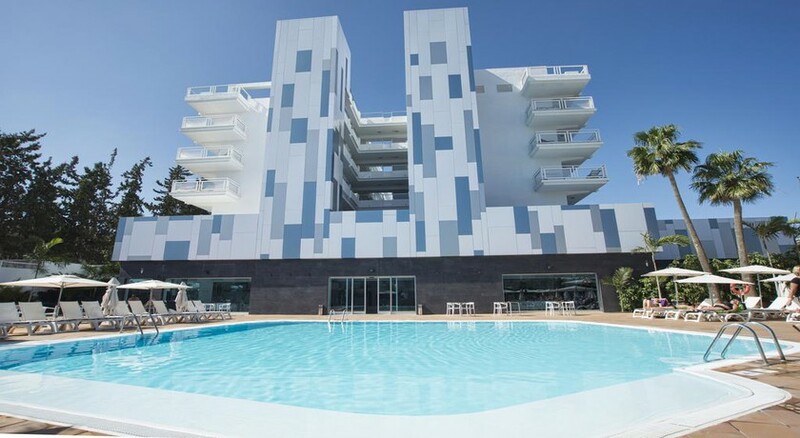 A contemporary hotel which is located at 4km from the Maspalomas Golf Course, the Labranda Marieta Aparthotel delights you with its classy interiors and stylish exterior façade. Guests can visit the Aqualand Maspalomas Water Park at about 6km from here. Featuring a friendly and modern vibe, this hotel is one of the most sought after properties here. The clean white sandy beach is just at a two minutes’ walkable distance from here. A heated outdoor swimming pool offers the perfect retreat in cold weather. A range of shops, restaurants and bars within five minutes of the Aparthotel make it an ideal destination. Malspalomas is a resort known for its laidback vibes and sand dunes that form the Maspalomas Dunes National Reserve. The dunes are just a kilometre from the property. The neat, sandy beach is another tourist attraction. 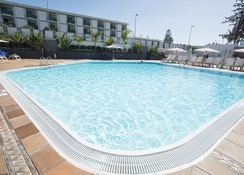 Labranda Marieta Aparthotel is 4km from the Maspalomas Golf Course and 6km from the Aqualand Masalomas Water Park at a very convenient location. The beach is a pleasant stroll of about two minutes. It is around 250 meters from the nearest beach. 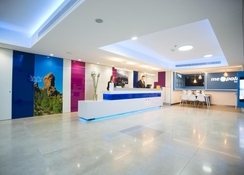 Guests can reach the hotel from Gran Canaria Airport located at a distance of 30 km from the property. Guests can choose between 192 Deluxe Double Rooms at Labranda Marieta Aparthotel offering a maximum occupancy of two people. The rooms are well furnished with contemporary décor and air conditioning. A private bathroom with a shower, telephone, electronic safe and Wi-Fi is found in every room. Satellite TVs and balconies or terraces are also found in the apartments. The hotel has plenty for sports and entertainment. Guests can enjoy outdoor freshwater swimming here. A lovely pool and a large rooftop sun terrace looking over the Atlantic Ocean are the places to be. Guests can relax here with some cocktails. The spa here offers pampering and luxurious massages. The hotel arranges for live music and shows for the entertainment of the guests. Those wishing to stay active can head to the fully-equipped gym. Very relaxing holiday with lots of marvellous people. Our stay at Labranda Marieta Hotel was fantastic .staff very helpful and friendly. Loved the roof top loungers could have stayed there for another week or two. Definitely be going back. Great hotel friendly and helpful staff but my only problem was no kettle in room so had to wait for breakfast to get a cup of tea in the mornings.